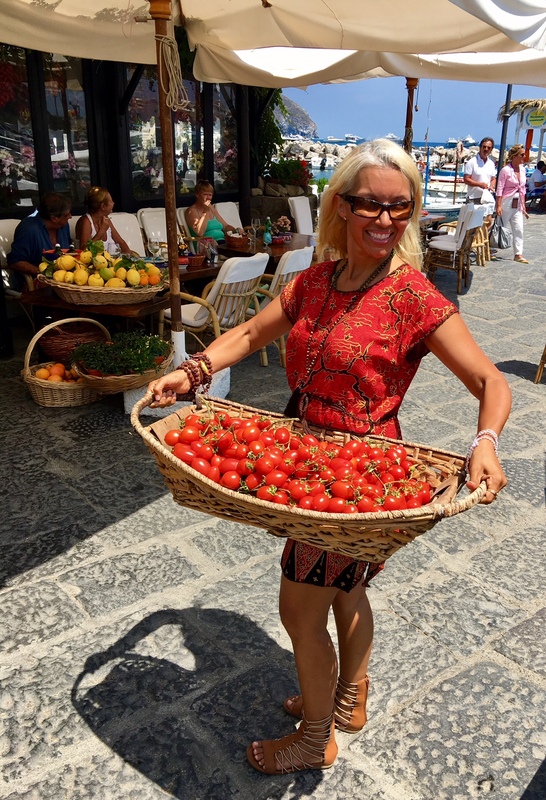 Join Silvia Mordini who’s passion for Italy is contagious on Ischia which is one of those places where time seems to move more slowly and everyday pressures melt away. Imagine waking up in a paradise set amidst cherry trees, a nestle of olive trees and lemons within reach overlooking the Mediterranean with breath-taking endless views of Capri that boasts natural wonders such a dormant volcano, lush gardens, thermal spas, miles of beaches, and ancient ruins. This unique trip is designed to offer a balance of authentic adventure and relaxation with a strategic infusion of personal development that relates to the theme of the trip. You’ll love it! There’s no doubt about it, you will leave feeling deeply nourished in every way! 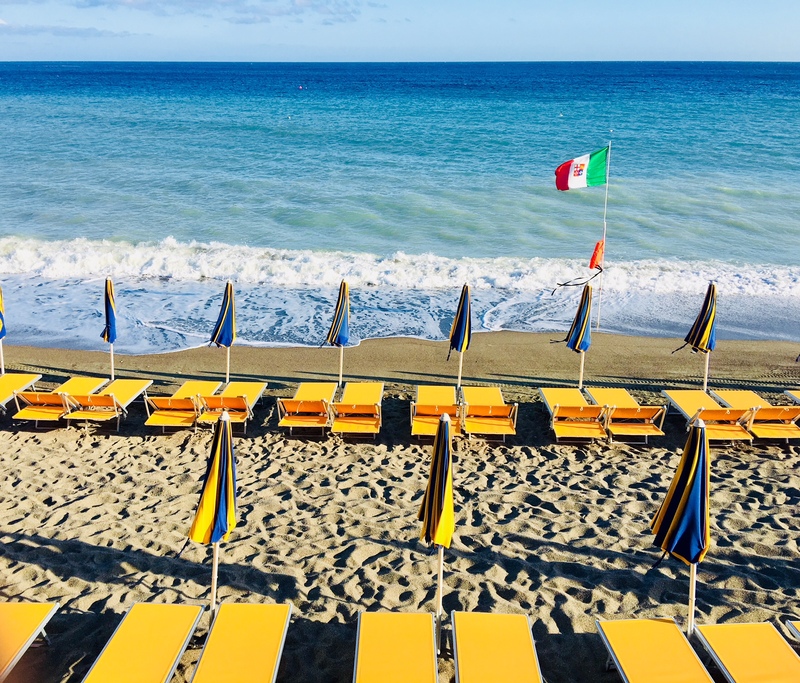 If this sounds like you I promise that this dream come true experience will transform your life so you treasure your heart & soul long after Italian palm trees are a mere memory. If this sounds like you I promise that this dream come true experience will transform your life so you treasure yourself long after Italian palm trees are a mere memory. Are you looking for paradise? Well, I’ve found it and want to share it with you! Come experience a retreat like none other on the famous “Green Island!” Right next to the more famous Isle of Capri, the greener sister Island of Ischia (pronounced Iss-Key-Ah) has a more natural, untouched feel. 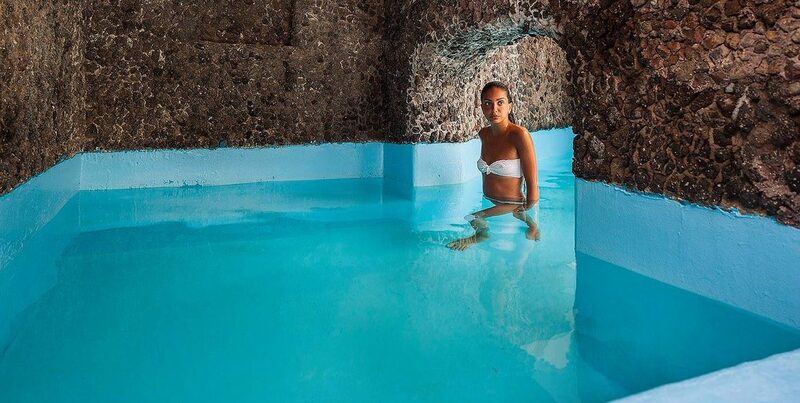 As one of the world’s first health spa destinations, Italians (and Romans, before that) in the know would flock to Ischia to indulge in its mineral-rich volcanic mud and waters. Today, Italian Doctors literally prescribe time here to reap the benefits of bathing in the healing springs. 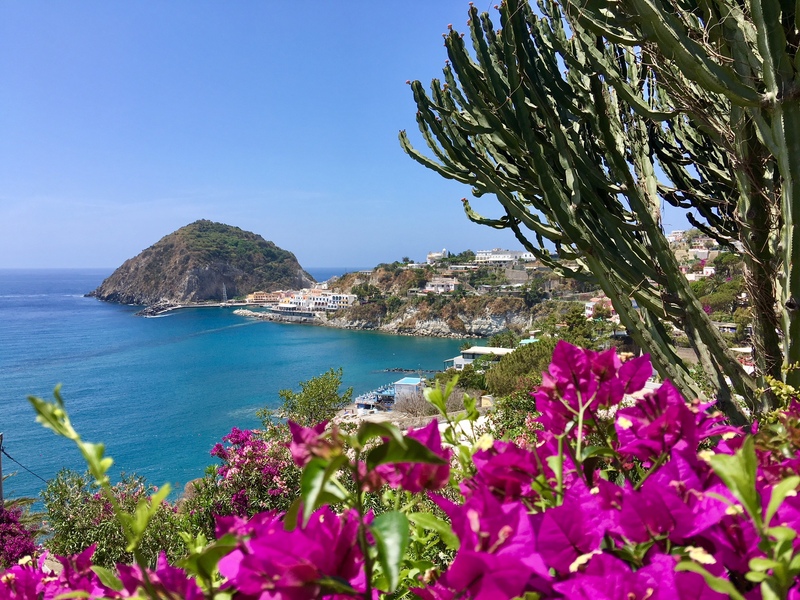 Just off the Amalfi Coast, Ischia boasts natural wonders such a dormant volcano, lush gardens, thermal spas, clear beaches, ancient ruins, and endless views across the Bay of Naples. We will be guests at the pristine Il Giardino del Nonno, which is situated perfectly on a quiet nestle of olive trees and overlooks the Mediterranean. Soak in the incredible pool—filled with the famous thermal waters from an aquifer 150 meters below the island. Relax on the panoramic sun decks with breath-taking views. Take time to stroll the olive grove and lemon tree-lined terraces, gardens, and hiking trails to the beach. You’ll be staying just a 5 minutes costal path from the most beautiful 3 km long beach on the island, the Maronti. 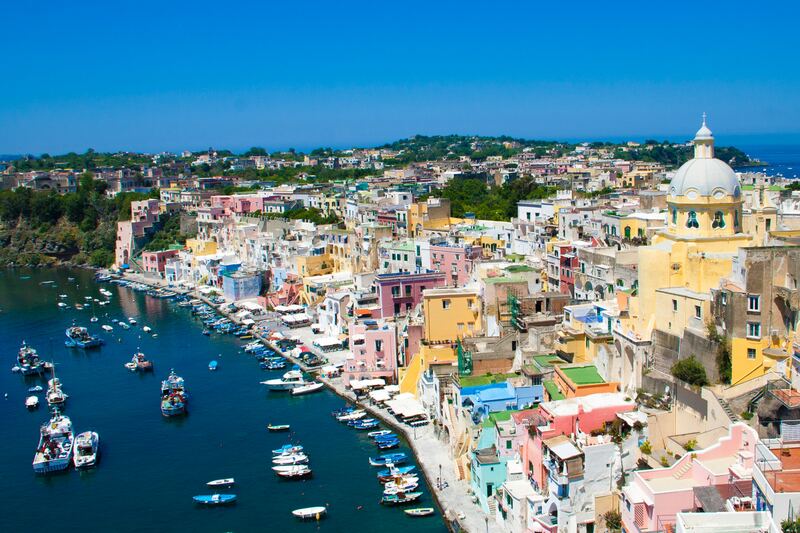 And you will be at only 10 min walk from the pastel coloured village S. Angelo overlooking the bay, this stunning little place is truly romantic with a lot to offer the intrepid traveller: cafés, restaurants, exhibitions, and shops – all within the historical centre that can only be accessed by foot as the entire village is traffic-free, making it a tranquil place to explore. We will hold twice daily yoga classes in one of two amazing yoga spaces (one indoor and one outdoor), both overlooking the sea and lush vegetation. The morning and evening yoga classes will be held either on the outdoor platform overlooking the thermal pool, beach and island of Capri, or in the spacious and comfortable “Sala di yoga” (Yoga Studio). But we will enjoy so much more than just yoga! We will visit ancient port villages (such as the picturesque Castello Aragonese). Enjoy artisanal shopping. Look for the famous thermal mud bath treatments, rucolino liquors, lemon candies, or the handmade designer clothing. 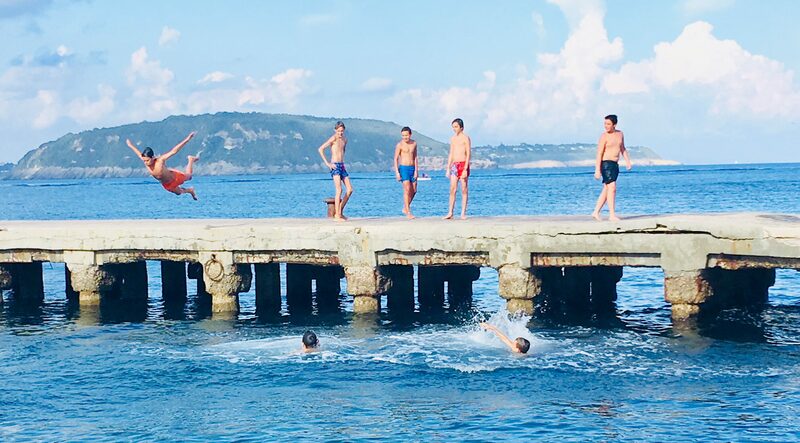 We will watch the sun rise from our private balconies, and enjoy a hike through the mountainside to have a full body mud treatment under an ancient Roman Aqueduct, have a playful boat ride to the natural thermal seaside caves of Baia di Sorgeto. Live in the lovely town of Sant’ Angelo and spend a day at one of Ischia’s popular thermal spa parks where you can hop from pool to thermal pool experiencing various temperatures, ancient therapy techniques, and opt for some treatments like a massage or facial. 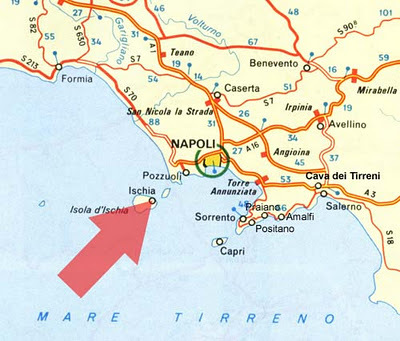 The week will end with an exciting boat ride around Ischia, where we will see the hidden beaches and grottos where we will swim where the romans did and enjoy snorkeling adventures. In addition to all its natural wonders, one of the most appealing things about Ischia is the hospitality of the people themselves. You’re sure to enjoy the island’s welcome and relaxed way of life during your stay. Gratuities for your guides may be given at your discretion in response to their leadership and professionalism throughout the trip. We suggest 7-10% of the trip price per individual to be divided between the guiding team as an industry standard. Extra Reason to Join this Adventure? Learn Energetic Anatomy and its powerful role in promoting the Alchemy of Happiness in your life. Category: Anatomy & Physiology. 25 hours towards Yoga Alliance RYT200 Hour Certification or YACEP (Continuing Education). Investment is $300 for this module on retreat. Anais Nin writes, “and then one day the risk it took to remain tightly in a bud was more painful that the risk it took to blossom.” Yoga teaches that we are always evolving in the direction of happiness – all we need to do is get out of our own way. We must stop blocking the Spanda which is always blossoming. Spanda is a Sanskrit term for the subtle creative pulse of the universe as it manifests into the dynamism of living form. Another way to think of this is from the beautifully written book Yoga Spandakarika (Song of the Sacred Tremor) by Daniel Odier in which he writes: This is the most difficult thing to attain: accepting the freedom of movement, the creativity of life, understanding that a fixed state, as marvelous as it might be, is not compatible with life. Join us on this retreat to unlearn and unblock the habits that are holding you back from your best life. Come be part of a place and experience that opens you up like what Krishna Das describes, “Grace wakes us up when we are asleep, brings light to where there is darkness and removes obstacles from our path”.